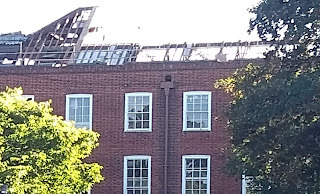 I had assumed the wooden frame was a new roof, and they'd get rid of the existing one, it appears not. Is that a new pitched roof going over an existing flat one? B, looks like it. Meaning building remains usable throughout. 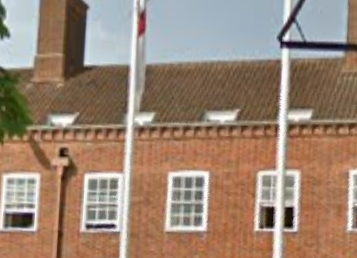 I recognise that building. 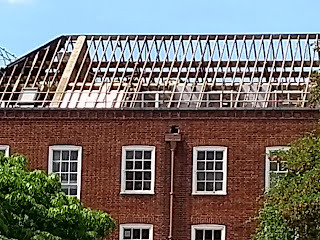 There appearers to be a structure inside the rafters , but actually it is an additional purlin and frames for windows that were set into the old roof, and it has scaffolding in front of it. Din, it's opposite Toby Carvery in Brentwood. The things that look like rafters for a roof were in fact rafters fir a roof, they line up with brick wall on the left hand end. Din, I have uploaded an old photo from Google maps. Now it makes sense. 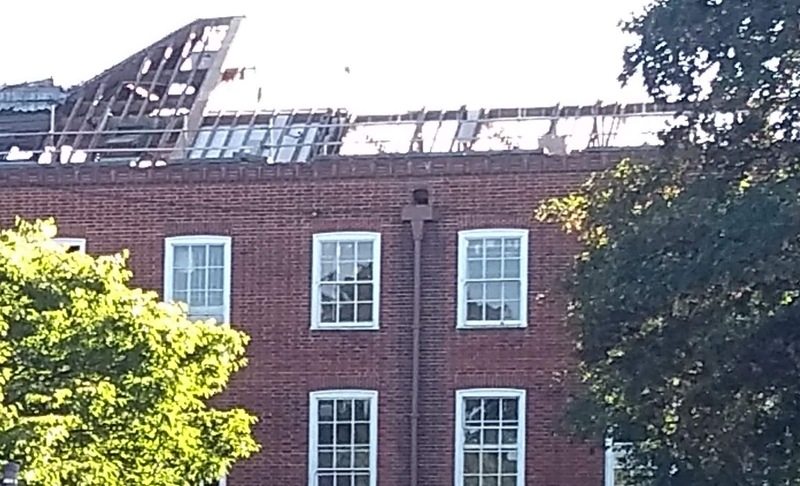 If I ignore the horizontal safety rail, I can see that the old windows were inset into the beams of the old roof; they are the same thing. 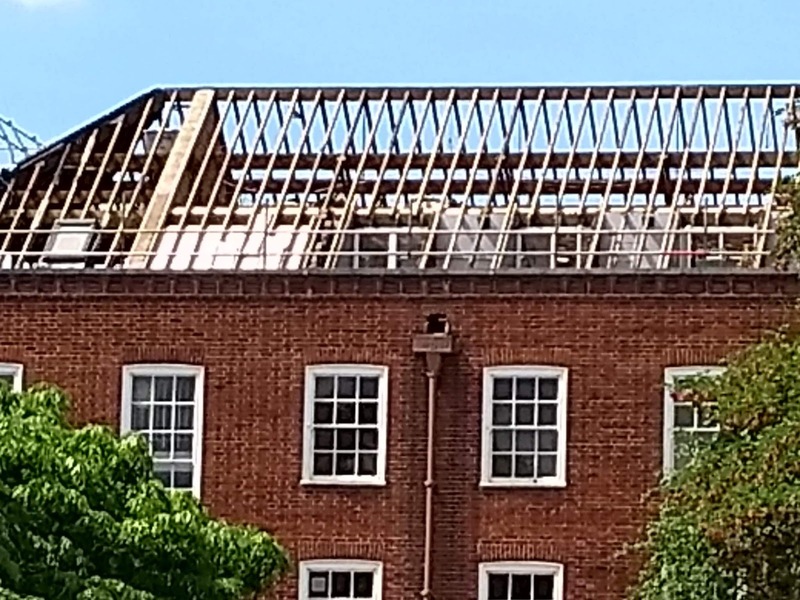 What looks like a roof within a roof is just the ceilings of the rooms on the top floor. Thanks!